Softball uniforms & softball warm ups are 25% to 35% off & can ship today, rush lettering is also available. 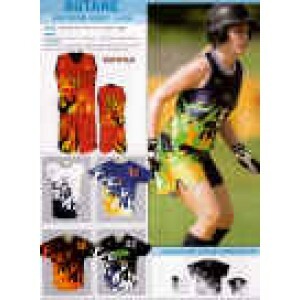 Sublimated softball jerseys also have discounts of 25% (minimum 12) to 35% off. Shop4Teams has become an industry leader when it comes to providing quality softball uniforms and custom softball jerseys to teams nationwide because we only carry products from the best manufacturers in the game. We are a full-line retail sporting goods site that has been in the business of bringing your team or organization the best custom gear and apparel since 1985! We are now a completely integrated online shopping site that is open 24/7 with everything you need for your games. Never losing the human touch we continue to provide individual, personalized service to all of our teams and organizations! We are proud to provide you with the finest quality uniforms and game apparel, all at the most reasonable prices. So let our experienced and knowledgeable staff answer all of your questions and guide you on your path to finding the best equipment and apparel to meet your team's specific needs. We carry a huge array of both in-stock and custom softball uniforms, from basic jerseys to the more advanced moisture wicking and breathable uniforms on the field. Custom softball jerseys have an almost infinite color combinations and style choices, so you're sure to find something here that catches your eye and pleases your pocket. Once you do, call our experienced staff and let us customize your uniforms with your team name, player number, and team logo for a unique look you can call your own! Please take a few moments to browse through our large selections of stock and custom jerseys and apparel. Whether you need custom girls softball uniforms for a youth league or fast pitch softball uniforms for a men’s or women’s league, we fill your order in the most efficient and timely manner possible. Call us today so we can help your team intimidate the competition and go for the win! Size chart Main body is 100% Polyester seed mesh with Essortex moisture management * Fully fa.. Size Chart 100% polyester wicking knit body and piping with 100% polyester wicking printed kni.. Size Chart 100% polyester wicking knit with true hue technology™ that helps prevent dye migra.. Size chart 100% polyester wicking knit * 92% polyester/8% spandex pinhole mesh inserts * Wicks ..
100% polyester propelit micromesh wicking knit * Wicks Moisture * Ladies' fit * Pad print label * V-.. 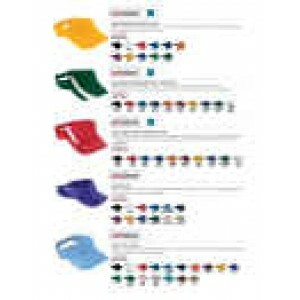 Size chart 100% polyester propelit micromesh * Wicks moisture away from the body * Girls fit * .. Size chart 100% polyester smooth knit with true hue technology™ * true hue technology™ prevent.. Size chart 100% polyester propelit micromesh wicking knit body * 92% polyester/8% spandex wicki..
100% polyester propelit micromesh wicking knit body * 92% polyester/8% spandex wicking pinhole mesh .. 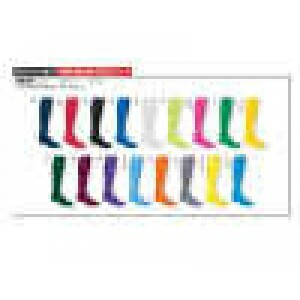 Size chart 100% polyester propelit micromesh * Wicks moisture away from the body * Ladies fit *..
100% polyester wicking knit with true hue technology™ that helps prevent dye migration * Cationic dy.. Size Chart 100% polyester wicking knit with true hue technology™ that helps prevent dye migrat..
Fastpitch Package Includes: · Short Sleeve Fastpitch Jersey 552.. Size chart 92% polyester/8% spandex wicking pinhole mesh * Wicks Moisture * Ladies' fit * Pad..